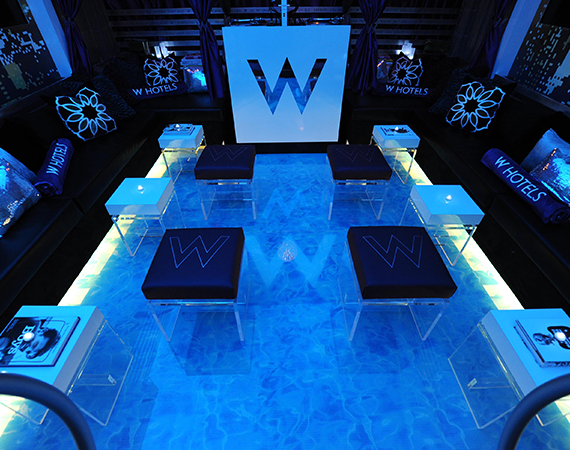 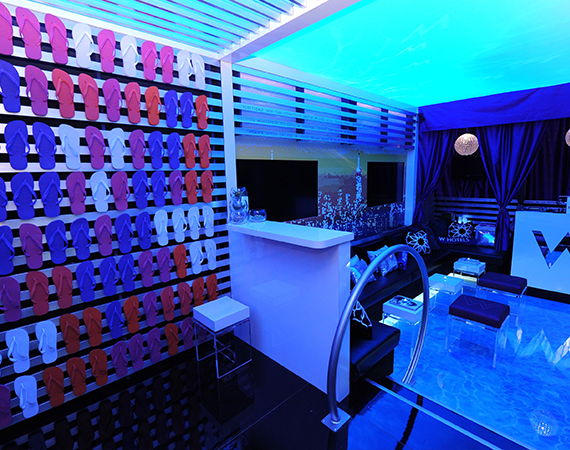 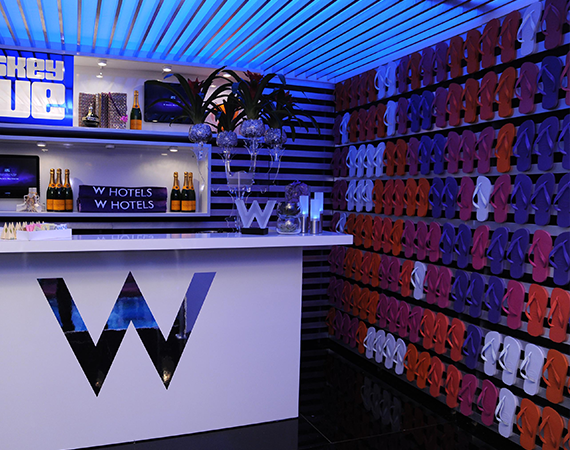 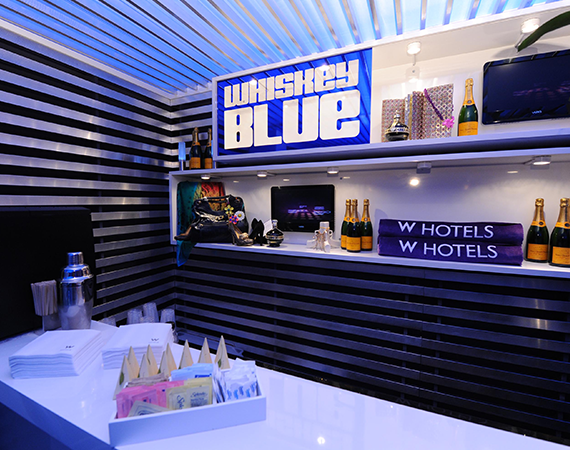 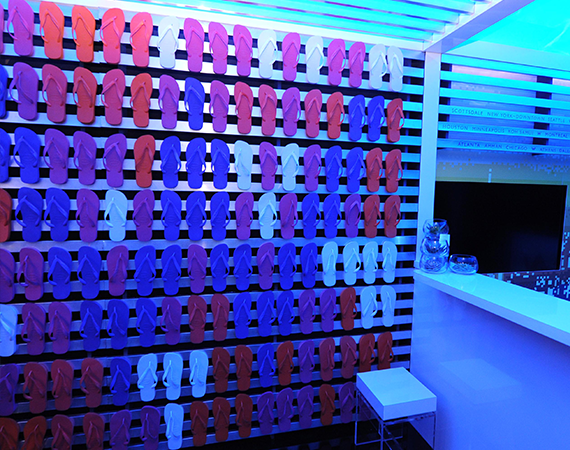 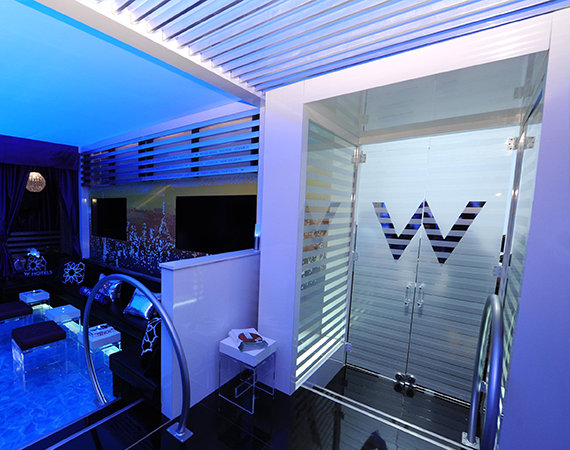 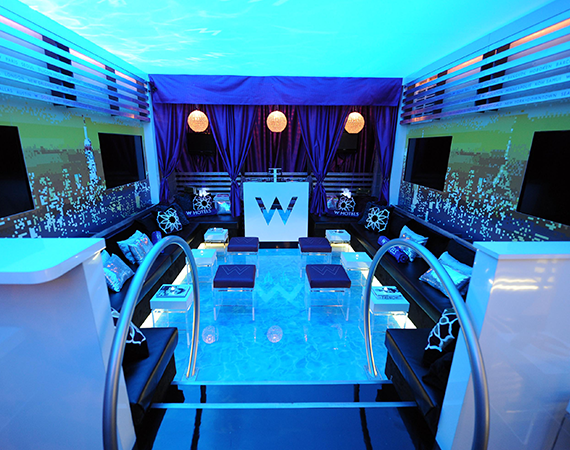 In celebration of W Hotels' poolside culture, guests were welcomed to a world of wow at the W Fashion Week Backstage VIP Lounge where your ultimate escape from the runway lights is a glittering retreat to poolside glam. 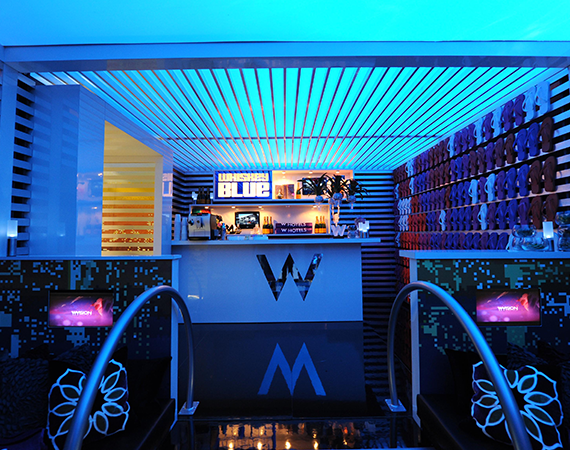 Take in the city lights by the water’s edge while hot DJ tracks and cool cocktails stir the senses, surprise and delight. 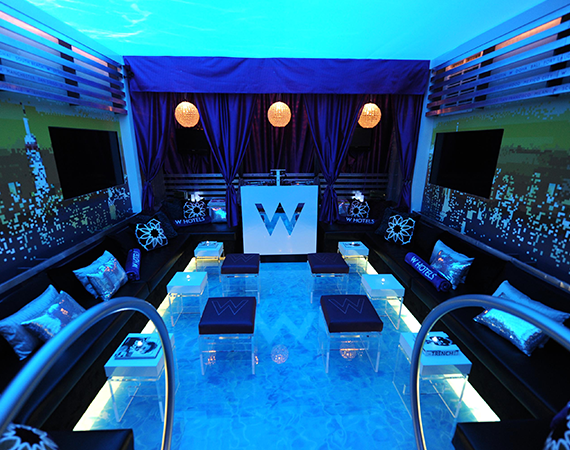 Mix and mingle poolside worldwide from Santiago to South Beach, Barcelona to Vieques, Hollywood to Hong Kong and everywhere in between. 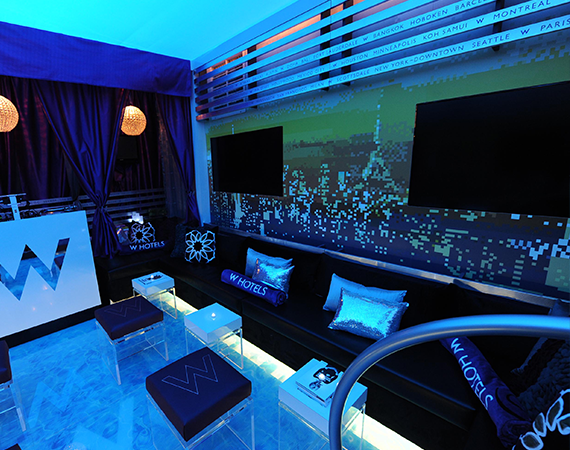 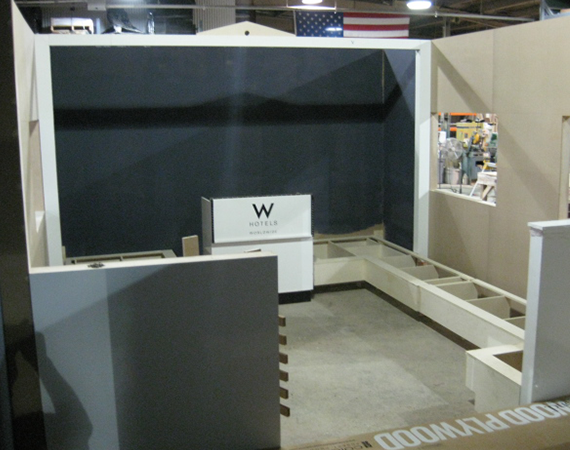 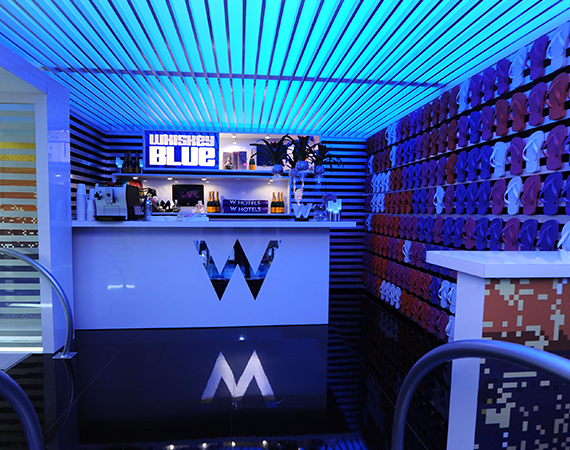 After months of design and preparation in exactly 24 hours the W Hotels VIP Lounge went from a blank empty tent to a vibrant lounge with music, bites, beverages,,a full audio and visual immersion and an electrifying celebration.